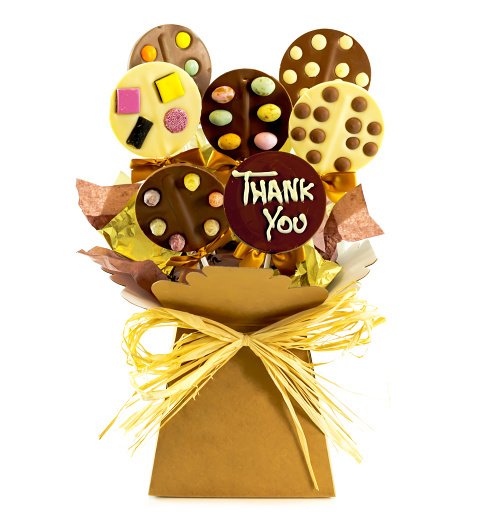 Whether they have been there during your time of need, helped you move house, or come to your rescue when you needed it most, this lolly pop gift is the perfect token of your appreciation. Each lolly in this selection is beautifully decorated and one even has “Thank You” written on it! All elegantly presented so that you need only add a caring note to thank that very special recipient.